Conveniently located just off the I-5 in Carmel Valley, the health professionals at the Acupuncture Fertility Center® and Galena AcuSpa are dedicated to helping you and your family achieve your wellness objectives. For over 15 years, Jeneanne Paden, L.Ac. and Renee Walker L.Ac. have been working with men and women who are trying to conceive naturally or who are going through assisted fertility treatments such as IUI (intrauterine insemination) or IVF (in-vitro fertilization). Although our acupuncturists will diagnose and treat you from a Traditional Oriental Medicine perspective, we have extensive experience working with western diagnoses of unexplained infertility, polycystic ovarian syndrome (PCOS), endometriosis, recurrent pregnancy loss and male factor infertility. From nutritional and lifestyle guidance to improve egg and sperm quality, to navigating the various medications, tests and treatment protocols prescribed by your doctor during assisted fertility treatments, our team is here to educate, support and guide you through this process. The purpose of this web site is to provide a private place where men and women seeking help with fertility issues, pain management and other ailments, who may or may not be familiar with acupuncture, can have access to current and accurate information and can feel comfortable asking questions. Whether or not you decide acupuncture is for you, whether or not you currently have an acupuncturist you really like, we want you to get the information you need to make the best decisions for you and your family. If you are new to our website, please feel free to discover and learn about Acupuncture and Chinese Medicine, and please don’t hesitate to give us a call or shoot us an e-mail with any questions. We would love to speak with you. 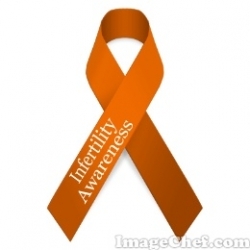 "I struggled with fertility for 6 years and I’ve seen many different accupuncturist over the years. After relocating to San Diego, Jeneanne came recommended to me from the nutritionist of Randine Lewis's The Fertile Soul. I was at ease once I met Jeneanne as she provided me with a healing and nurturing process that I needed to move forward. She worked with both me and my husband and today we are proud parents of boy/girl twins!" - Kathie R.
"When I was having trouble getting pregnant my doctor at Scripps suggesting doing acupuncture and told me about Jeneanne Paden with Galena Acuspa. During my first visit she really took the time to get to know me and my body and lifestyle and not only did we have an excellent session she sent me away with lots of suggestions about helping with fertility in general. My sessions with Jenanne have been incrediblly beneficial. Not every acupuncturist specializes in fertility so I would only go to somebody who was an expert. I have been in excellent care and cannot recommend Jeneanne highly enough!" - Tyler R.
"My fertility specialist works in tandem with two wonderful acupuncturists from this office, Jeneanne Paden, L.Ac and Renee Walker, L.Ac. Both are Licensed Acupuncturists, Masters of Traditional Oriental Medicine and Diplomats in Acupuncture. 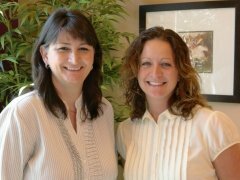 These woman are highly respected within the San Diego medical community. I first went to see Jeneanne about 5 years ago...when we were preparing for the embryo transfer that resulted in the birth of my daughter. Paden not only is amazing as an acupuncturist but she's extremely familiar with all of the stages of the complicated protocol for IVF. She explains it all much more clearly than any nurse was able to at my doctor's office." - Caroline B. "Jeneanne is a huge support and made me feel so great with my fertility treatments. She is not only skilled in fertility acupuncture but her heart is in it with you. She understands her clients and listens. She has also taught me so much I didn't know about the process and how to make it a positive and beautiful experience for myself." - Laura L.
The highest quality service and products. I have been working with Metagenics products for more than a decade and trust the quality and science behind each of their supplements. Enjoy 20% Savings on every purchase when you click on the photo above and order your Metagenics supplements online. Products will be delivered straight to your door, and if you have any questions, we are here to answer them for you. Best of health! RESOLVE is celebrating over 40 years of educating, advocating, and creating communities of support for those with infertility. Since 1974, when Barbara Eck, RN, gathered women with infertility around her kitchen table to offer support to each other, RESOLVE has been dedicated to improving the lives of people with infertility. For over 40 years, RESOLVE has provided community to women and men with infertility, connecting them with others who can help, and empowering them to find their resolution. 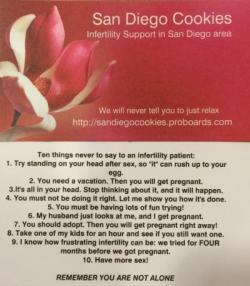 San Diego Cookies is an informal opportunity for women and men experiencing infertility to connect with one another, to discuss their situations and to receive support from others who have had similar experiences or who are struggling with similar issues. Group moderators are volunteers and are not mental health professionals. Meets every other Wednesday from 6:30pm to 8:30pm. Location: The group alternates between two locations in San Diego. Please contact Sarah at sandiegocookies@aol.com before attending your first meeting. We work closely with several Western infertility specialists to enhance the effectiveness of ART procedures by incorporating acupuncture both before and after your procedure. "Jeneanne is awesome! Best acupuncturist I've ever had!!! Wish I lived in San Diego... I'd see her weekly, but I live in Idaho. She has seen me before and after my embryo transfers. I contribute our successful transfer to her skills." "I LOVE THIS PLACE! JENEANNE IS SERIOUSLY AMAZING AND SO IS THE STAFF. WOULD RECOMMEND TO ANYONE!"